Where Non-Profit and Association Leaders Connect, Innovate and Grow. Most professionals know the value of having a great personal LinkedIn presence. But LinkedIn’s power to connect professionals goes beyond those individual efforts. These days, organizations of all shapes and sizes can benefit from having a “corporate” presence on that platform. The good news is that it’s fairly easy to set up a corporate presence on LinkedIn. Whether your organization needs to recruit talent, promote products and services, or show off its thought leadership, LinkedIn Company and Group pages provide valuable opportunities to extend your organization’s digital footprint. If you are responsible for recruiting talent, marketing your organization, corporate communications, membership recruitment and the like, then you will want to be sure to join us for this workshop. The workshop will be led by Julbert Abraham, CEO and Founder of AGM. The workshop will be introduced by Beverly Daniel, MS, MBA, Career Coach and producer of the Professional Development Workshops. 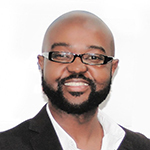 Julbert Abraham is widely known as “The LinkedIn Guy.” He is the CEO and Founder of AGM, a B2B agency that specialize on LinkedIn marketing based out of New Jersey. He has been featured and mentioned on Social Media Examiner, Entrepreneur, BBC, Huffington Post, ROI-NJ and NJ Business. Julbert and his team has been working with small and mid-size companies in the US, CA, UK the Caribbeans, helping them maximize LinkedIn for branding, marketing, advertising and staffing. Originally from Haiti, Julbert speaks 3 languages and has an MBA from Northeastern University and he is a Professor at Baruch College in New York City. Space is limited and will be based on first-come-first-served. There is no fee to attend if you are a NYSAE member. These informal workshops are highly interactive and designed for you to leave with new skills. It’s also a great way to meet members and guests. This is a brown bag lunch! International Licensing Industry Merchandisers' Association, Inc.